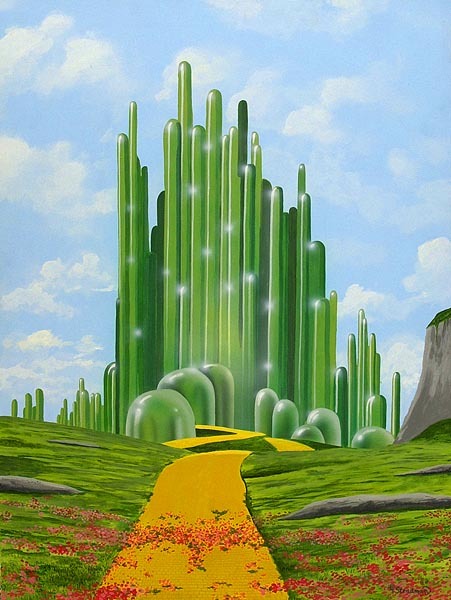 In the summer of 2007 Marlis was asked to paint a doctor's office with a Wizard of Oz theme. She was very busy so asked if I could do the sketches and help her with the painting. This turned out to be a very difficult project, because good referrence was very hard to find. I finally used stills that I captured on the computer from the Dvd.To see the rest of the project click here.